Durham is an exciting city to visit and there are many interesting sights to see. You can spend an entire day checking out the sights and sounds of this vibrant city. From the amazing pubs and bars to delectable eateries and restaurants, museums and galleries that feature awesome works of art, there are many activities to engage in at Durham for those who fond of good food and entertainment as well as art and culture. 24 Hours in Durham can be the most amazing holiday you have every had. Freshly brewed beer, meat sourced from the best sources and food that is hygienically prepared are the USP of this place. You can enjoy the amazing food here and check out the cool ambiance. This is a wonderful burger joint and you can really let loose and enjoy the divine fried egg burgers. Shopping is fun but at Brightleaf District, it is even better. This shopping district has tobacco warehouses which contain house shops, restaurants and amazing nightlife spots. So visiting this shopping district will be the perfect choice at any time of the day or the evening. You can really enjoy yourself shopping for souvenirs or just window shopping here. Durham Performing Arts Centre has started operations in 2008 and is considered as the best performing arts centre in North Carolina. Performance Arts Centre has different plays, concerts and comedy programs for those who want to enjoy the unique cultural heritage of Durham. Seating capacity is one of the most optimal as compared to other arts centres in the US. Duke Lemur Center is leading attraction in the city. It is a top attraction within Durham. Located at a distance from 2 miles from the central campus, of Duke University, this boasts the largest collection of primates outside of African wildlife haunts. This is a favourite tourist spot. Fee charges for adults is around USD 10 and 7 for children. Duke Lemur Centre is the perfect place to spend an afternoon and enjoy the sights, especially if you are a wildlife enthusiast. After visiting the lemur center, your next stop should be the famous Duke university created by Washington Duke’s family. Duke’s family is known for founding a tobacco empire in Durham. This university has a vibrant and beautiful campus and many interesting sights. Check out the campus for its dynamic nature and amazing time. Tobacco Road Sports Cafe is a top sports cafe and the top grossing movie Bull Durham featured this joint along with the Athletic Park. Enjoy a bite to eat and beverages to consume while you relax in the spacious patio and you can be sure that you will have more than a leisurely lunch. University of North Carolina is the oldest public university and it has everything from classic buildings to delightful grounds await visitors who choose to spend some time here. Don’t miss out on the awesome planetarium and science center which has some of the most interesting sights you’ll ever see. Even if you are not a fan of astronomy, this planetarium is worth a look for its unique instruments and ground breaking observation center. During the 1860s, the civil war came to a close at Bennett Place, a historic farmhouse which has free guided tours as well as historic sights for people to enjoy. This is the place where the historic agreement between Johnston and Sherman was reached heralding the end of the civil war. This memorial remains open from 9 in the morning to 5 in the evening and is known for its amazing atmosphere. This is the piece de resistance of Duke University. It showcases the amazing athletes and sports spirit that pervades Durham. Durham is a North Carolina city known for its fantastic sports scene and playing ball games here is fun filled and exciting. Even if playing is not up your alley, you can enjoy watching the matches and savouring the fun of cheering on teams and joining in the merry making. This historic plantation is located in Durham County and is one of the most massive and classical plantations in the south. Owned by the Bennehan Cameron family, this plantation has the status of being a major historic center at the time of its inception. It is also registered as a historic place of importance and apart from the residence, you can also enjoy the showpieces at the corresponding museum. The early home, farm, building and factories of Washington Duke and his families are covered in this museum. His sons founded the world’s largest tobacco company, the American Tobacco Company. Duke as well as others created a market for Durham centric tobacco products, making NC an invaluable part of the global tobacco empire. Duke University was named after this famous NC family. The place to go is the Cosmic Cantina where you can enjoy everything from tortilla to burritos at amazingly low prices. This eatery has yet another advantage- it remains open till early in the morning too, so you get excellent service round the clock. Teatime is the best moment to step into this Catina because of its exciting and vibrant atmosphere. This is the leading historic textile mill which is now a restored campus for those interested in art, entertainment and commerce. Golden Belt is located at the junction of Main and Fayetteville streets. This shopping and entertainment complex spans a total of 7 acres. If you are looking for a bite to eat, and Southern cooking is more to your taste, visit this amazing restaurant for a meal. From field pieces to pickled watermelon and grits, you get a lot here. This restaurant is also adjoined to a 50 acre farm and all its food is freshly sourced from here. Get the best of southern cooking in North Carolina at this amazing city. Tyler’s taproom and restaurant is the perfect place to go if you are in the mood for some after dinner beer or some delicious desserts. For those who like variety, Tyler’s restaurant and taproom is the place to go. It has close to 60 different kinds of tap beer varieties and you can relax in the spacious surroundings and enjoy an evening out here. Bull McCabe’s Irish Pub has the perfect guinness draught as well as other choices such as beer and vodka. If you have already had enough to drink, then just relax and dance to the music. The jukebox here has amazing variety. Or simply curl up for a quiet evening as you savour the beauty and vibrancy of the pub. 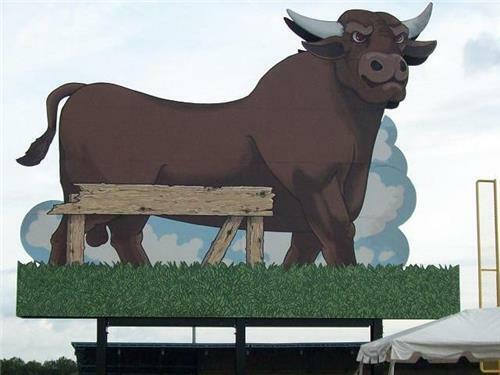 Bull Durham Bar is the top sports bar in Durham. This North Carolina sports bar is perfect for those who fancy a few snacks and some amazing game matches. The bar is known as much for its food as its drinks. From the shrimp to the corn chowder, there is amazing variety here.